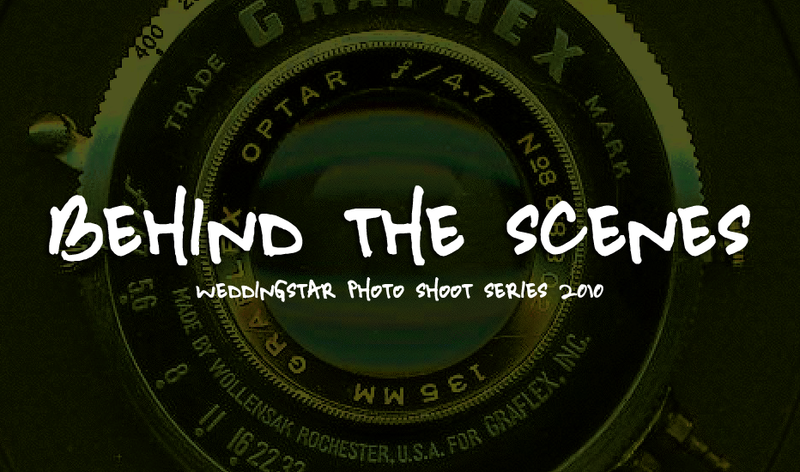 Over the last couple of weeks the six behind the scenes videos that I shot and edited this summer for one of Weddingstar's magazine photo shoots have been going live on our YouTube channel and blog. It's exciting to be at a point where I can reflect on a year of videos that I've produced for the company and consider where this experience might take me next. 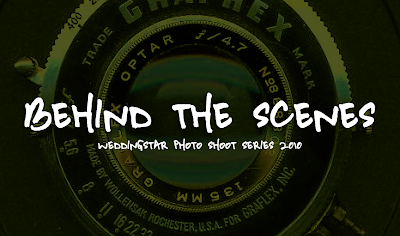 The short series of videos gives a sneak peek at some of the brand new 2011 product line and is meant to give customers a glimpse of how much work goes into creating our magazine (which can be found on newstands around the world by the way, *wink). It's been a lot of fun creating all these different types of edits so far and the best part is that I can see our videos becoming bolder, even more ambitious, and more elaborate as we push forward. It's been such a great creative challenge and learning experience to work in the midst of so many big and ambitious ideas and I can't wait to see what the new year brings! I still think it's pretty awesome you get to do this kind of a thing for a living. I'm at work right now, avoiding calls like the plague and realizing what a rare opportunity you've been presented with. You're editing style is also very recognizable, and I think if I saw a peice of work out there that you had done that I didn't know about it, it wouldn't take long for me to realize it was yours. That's something I didn't really realize until now, come to think of it. Wow, thanks Tyler! I know what you mean about my editing too, because over the last couple years of editing for different clients I can see how I've refined my personal style, how I piece things together, the rhythm I go for, etc. It's been interesting learning that about myself and having it be recognizable to others. As for the job, I'm pretty amazed a lot of the time that things have worked out so well so far. It's exciting to be a part of a team and still have something your passionate about to claim as your own unique contribution. Thanks for the kind words Tyler!